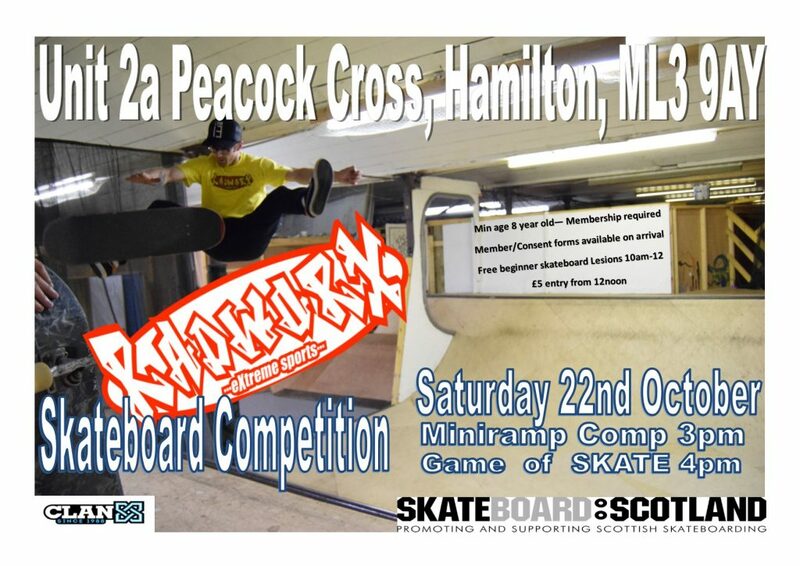 Radworx are holding a miniramp and game of skate comps at their indoor facility in Larkhall on October 22nd. Miniramp comp at 3pm, Game of skate at 4pm. Min age 8 years old. Membership required. Member / Consent forms available on arrival.